Discover Chopard's exquisite bracelets, beautifully designed in 18-carat white, rose and yellow gold, featuring sparkling diamonds and colorful gemstones. Browse through the different collections of finely crafted bracelets for women who seek to express themselves through contemporary and beautiful designs. 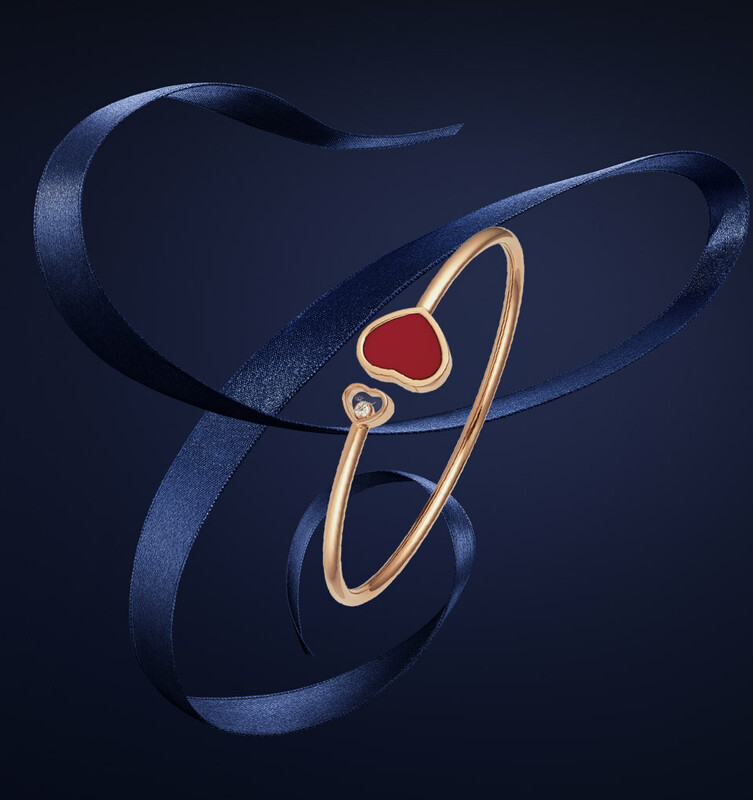 The bracelets of the Happy Hearts collection represent the precious expression of the moment of happiness. These Happy Hearts bracelets are a modern-day talisman, a symbol of love and joie de vivre for women. 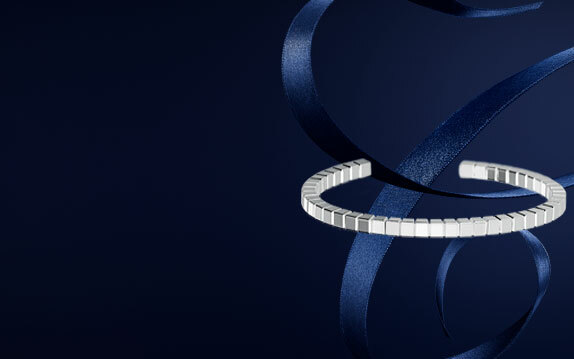 Get inspired by the freely moving diamonds of Chopard's bracelets, resembling sparkling drops of water in a waterfall, swirling and dancing between two sapphire crystals, creating a cascade of light. Browse through the Happy Diamonds collection of women's bracelets to find your own precious token. 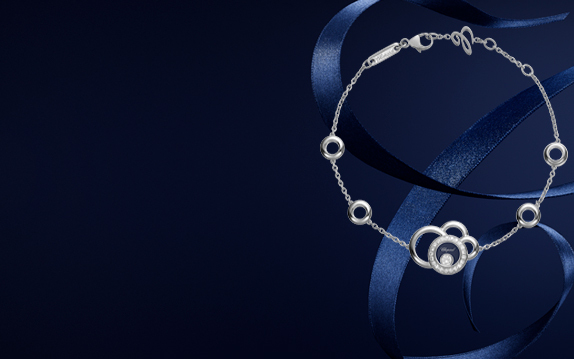 The IMPERIALE bracelets embody an exquisite aura of majestic femininity. Its fine motif and harmonious curves are inspired by ancient embroidery patterns that will gracefuly adorn the most audacious women. Visit our selection below and discover the IMPERIALE bracelets.